The United Kingdom is increasing its diplomatic presence in the Sahel and intends to scale-up its development assistance. 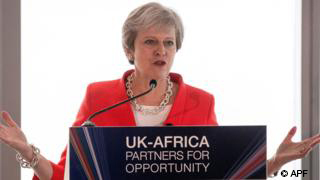 During her three-day visit to Africa, UK Prime Minister Theresa May announced the UK government would open embassies in Chad and Niger. The embassy in Mali will also be expanded. “We must not allow instability across the Sahel, exacerbated by regional conflicts, to continue to hold back development and to spill over into the rest of Africa or into Europe. Strengthening Britain’s presence in Chad, Niger and Mali will allow us to work more closely with our partners in the region to create new opportunities and tackle together the challenges posed by instability, poverty, and irregular migration,” declared Harriett Baldwin, UK Minister for Africa. Through its development agency DFID, the UK plans to invest some £83 million in 2018-19 and £75 million in 2019-20, mostly for humanitarian assistance. DFID currently implements three major programmes: 1) providing humanitarian assistance in Sahel emergencies (PHASE - £37.8 million); 2) building resilience in the Sahel through adaptive social protection (£9.9 million); 3) building resilience and adaptation to climate extremes and disasters (£5.9 million). By 2019, the UK intends to support up to 2.5 million people to avoid the worst effects of drought and insecurity and support up to 2.3 million people with food assistance. A special focus will be placed on family planning. By 2020, DFID plans to help “some 230 000 girls and women take control of decisions about when they have children and their family size.” The UK is a member of the Sahel Alliance and works closely together with the European Union, France and the United States.